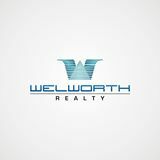 Welworth Realty has been known as one of Pune's leading promoters and builders for over two decades. The company has distinguished itself by giving the city some of its most prestigious residential and commercial projects. With over 25 yrs of rich experience and expertise, we have successfully emerged as one of the most reliable and respected names in the real estate industry. With our roots firmly grounded in our core values of quality, timely possession and commitment, we are soaring high towards adapting and even anticipating changing lifestyles, scenarios and environment. Welworth Realty is one of the few construction companies to receive certification. Since its inception (1987) till date, the Group has completed 20 projects, with over 2500 happy customers. This enviable record is a result of endless efforts put in by Welworth Realty with its team having vast experience combined with the top-notch talent. Welworth Realty team comprises of engineers, managers and highly qualified professionals, who exhibit excellence in their respective domains. We understand the worth of hard earned money, and thus strive to provide our customers with the best quality, architecture, design and high-end amenities, that too within the committed time span. Our Vastu compliant homes help customers experience positive aura, peace and prosperity. We are members of CREDAI, Pune (PBAP) and MBVA.